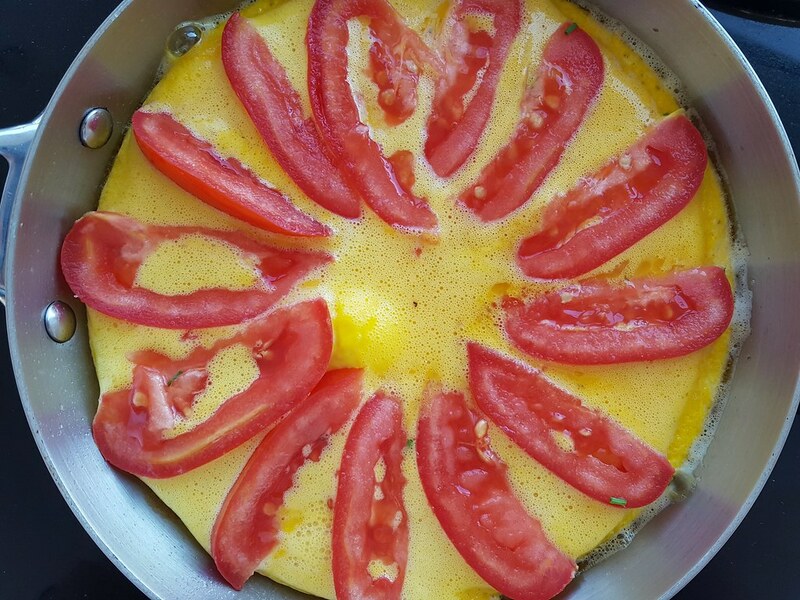 This time I would like to share one of my absolute favorite breakfast/lunch/dinner recipes – which is a tomato and chives egg omelet. The great thing about this omelet is that it is super easy to make and you can eat it for all meals. I normally have it for dinner but I have also served it for breakfast and lunch. It only takes about 15 minutes to make this omelet so it is perfect if you are late from work or if you only have a little extra time in the morning and want to make something delicious. 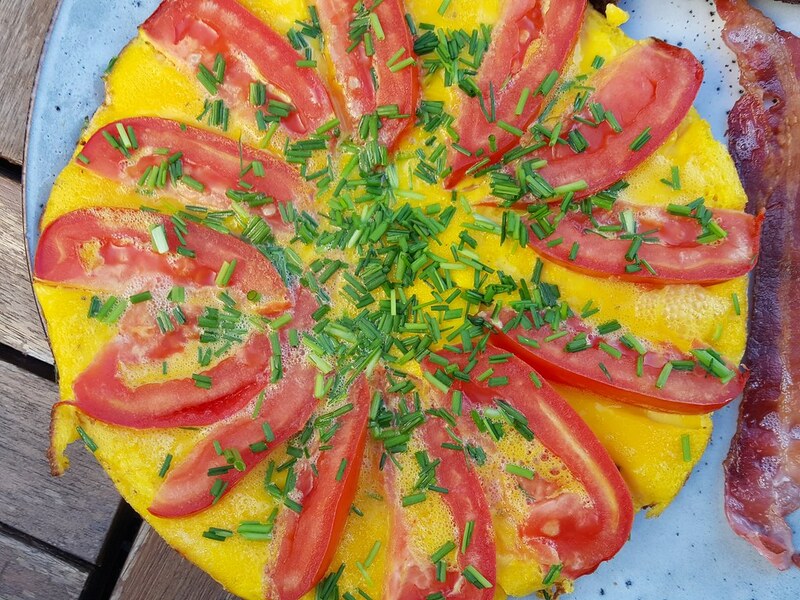 I have been asked several times how I get the beautiful yellow color when I make this omelet and the answer is simple – you simply need to buy some good quality free range eggs, preferably some organic. These eggs are made from chickens who have had access to good food and allowed to freely walk around, both are important factors to make a good egg. 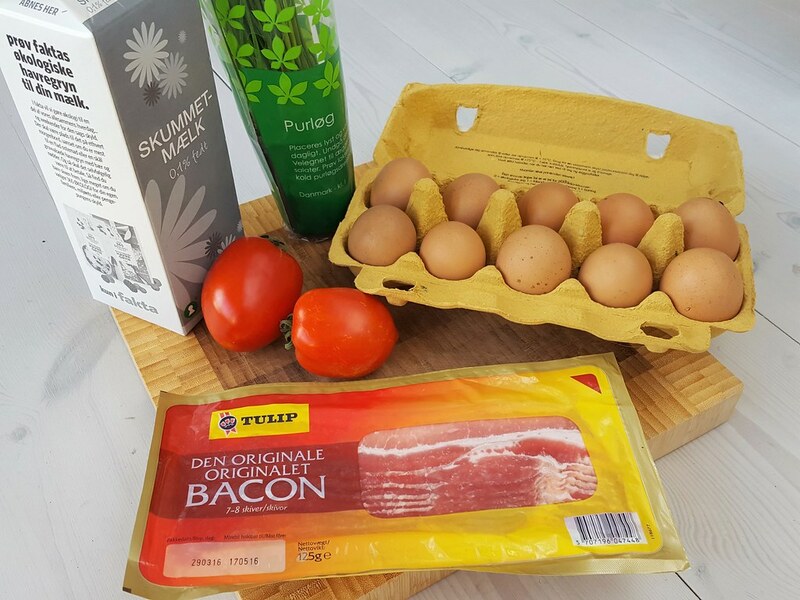 I personally get my eggs from my parents farm where the chickens can freely walk all day long and find their own food in between the trees – these eggs are they best I have ever tried. 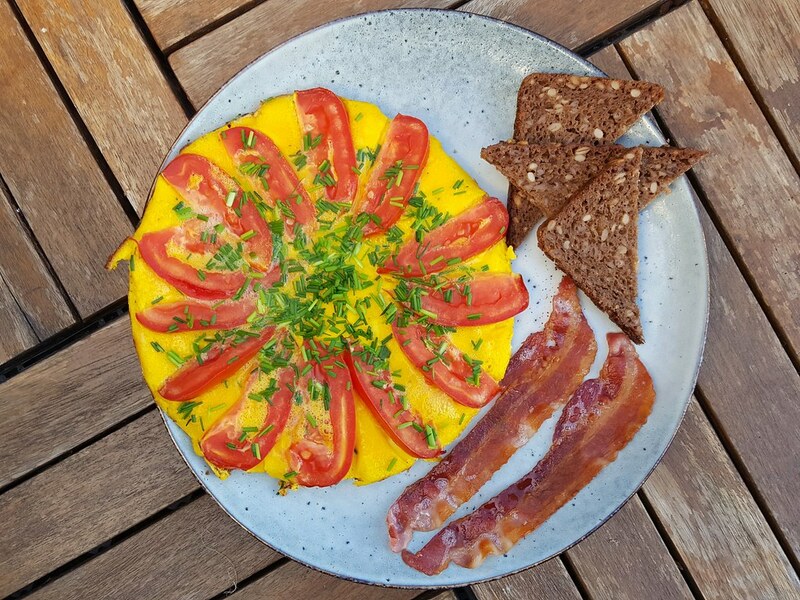 I always serve this omelet together with some Danish rye bread. I do a lot of traveling around the world and I know how hard it can be to get a hold of rye bread outside Denmark. 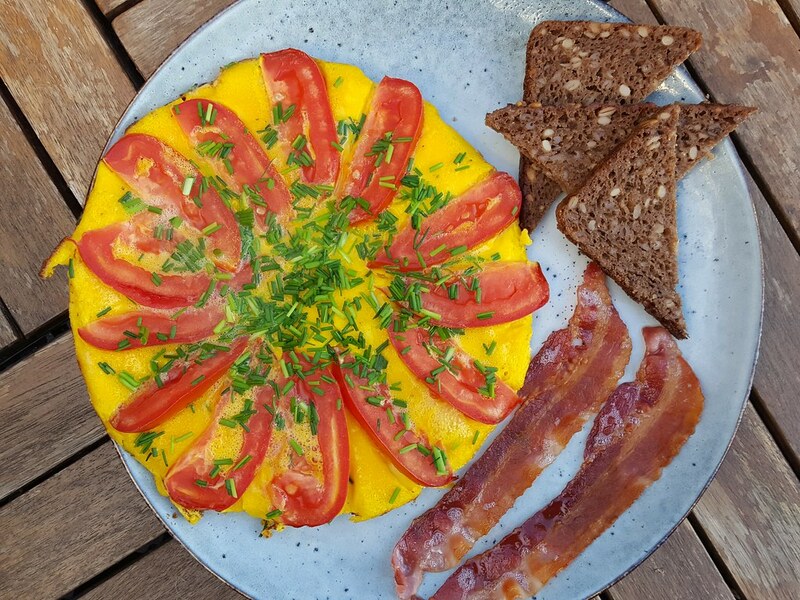 If you cannot find rye bread at your local bakery – then you can always serve this omelet together with some other dark bread, preferably some bread which is rich on grains. If you have the time, I will highly recommend you to try making your own Danish rye bread, I have a great recipe here on my blog. If you want to try a less time consuming bread I can also recommend my Stone Age bread which is packed with good nuts and are super tasteful. This omelette is super easy to make but there are one important thing to remember. You start by cracking open the eggs into a large bowl. 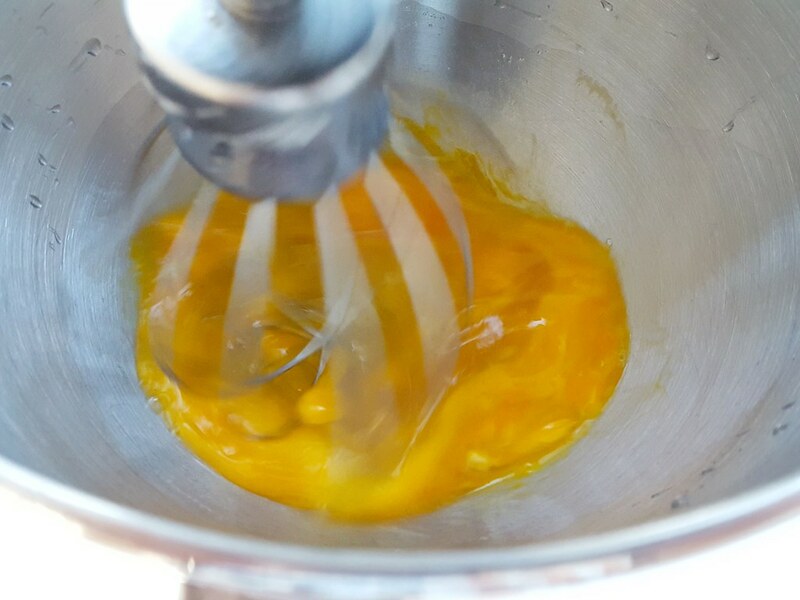 Then you use a whisk or a kitchen machine to whisk the eggs into a airy mixture. 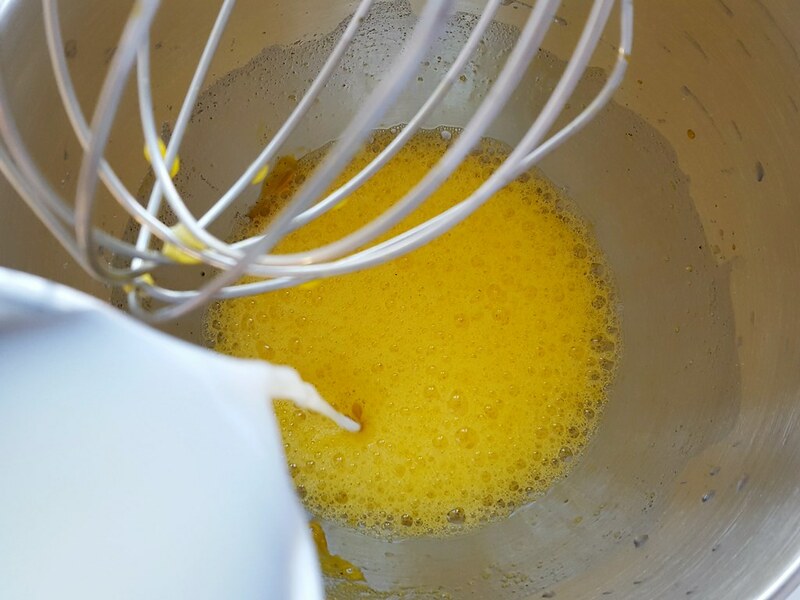 It is important that you whisk a lot of air into the eggs. This way you get the best result. 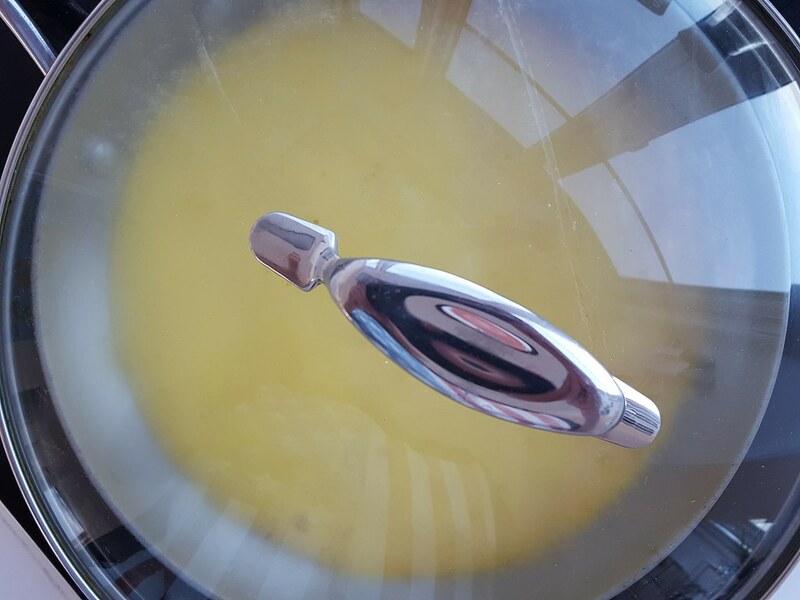 Then you add the milk, stir a little and then pour the mixture onto a buttered frying pan. 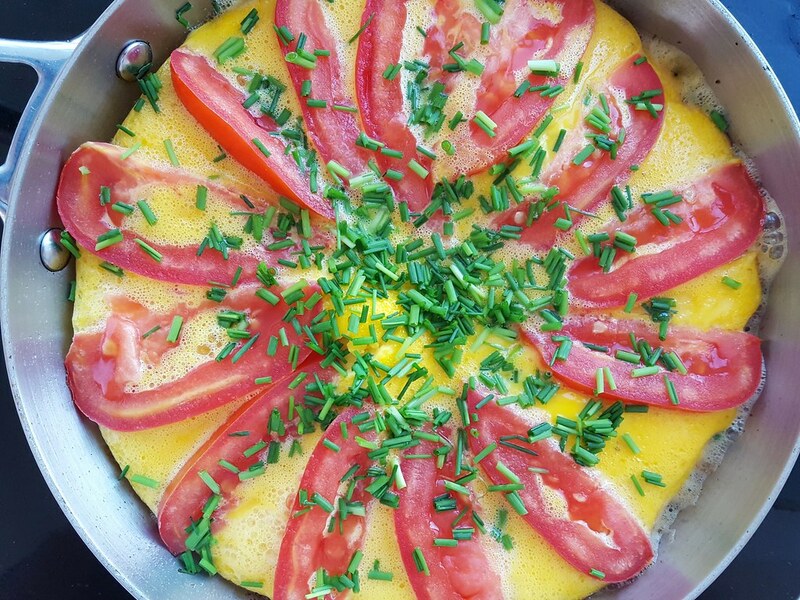 Cover the pan with a lid and wait until the eggs have settled before you decorate the top of the omelet with tomatoes and chopped chives. 1. Rinse the tomatoes and chives. 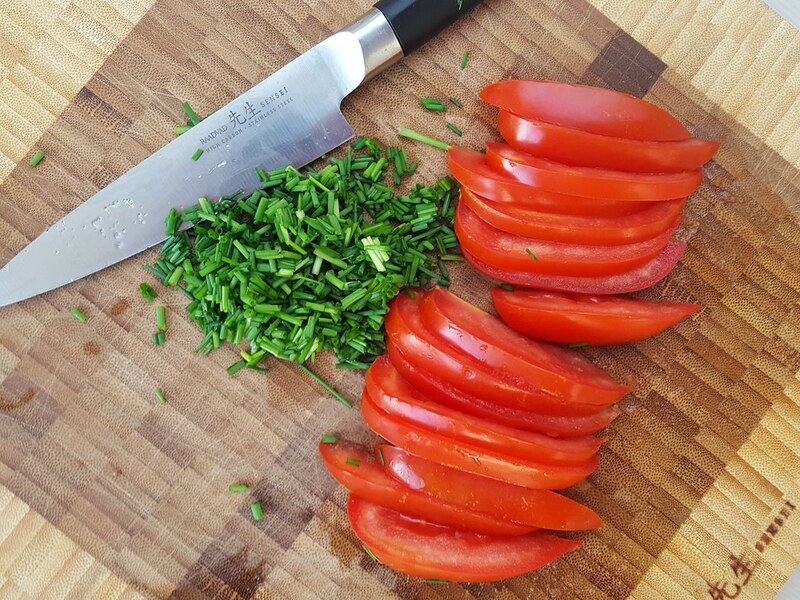 Cut the tomatoes in smaller pieces and chop the chives. 2. 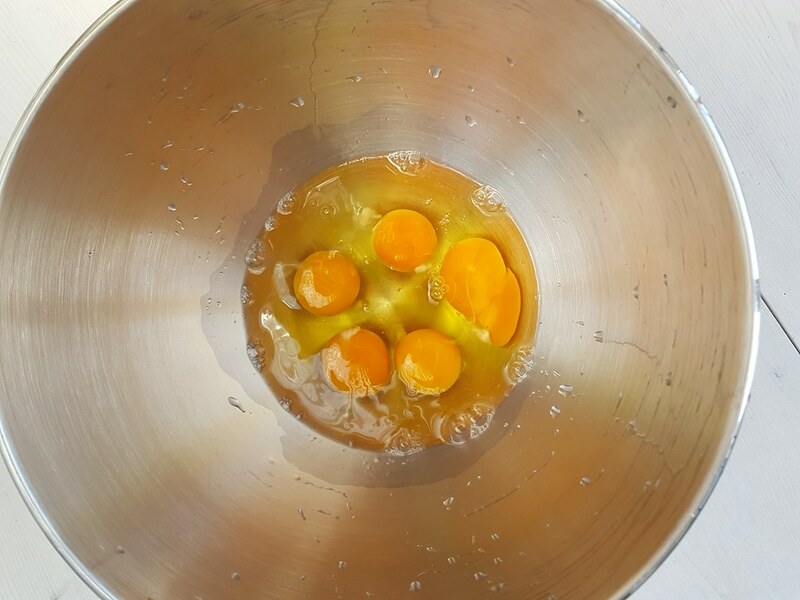 In a large bowl; beat all the eggs and whisk them well together so that you get a lot of air into the egg mixture. I normally use my kitchen machine for this step. 3. Add the milk, salt and pepper. 4. On a frying pan; add the butter, turn on the heat and let it melt. 5. 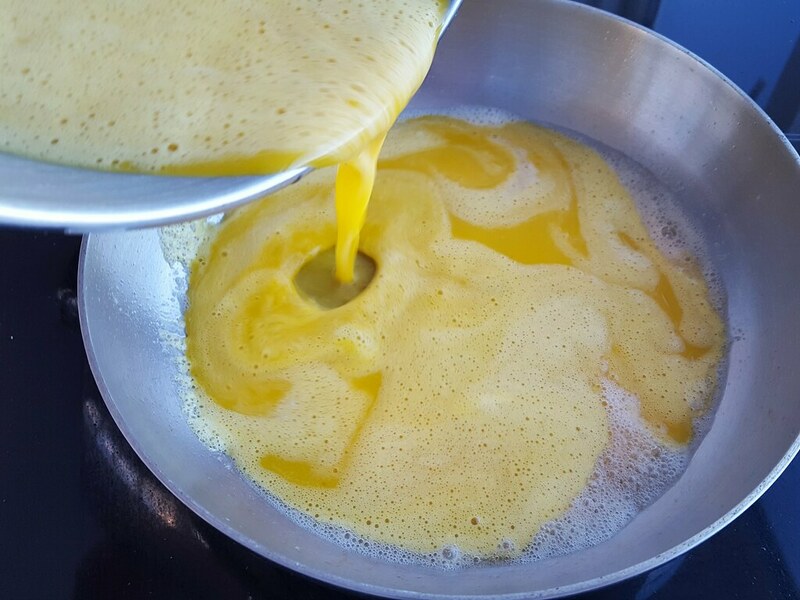 When the butter is melted; add the egg mixture and let it cook for about one minute. Then turn down the heat to 1/3 of maximum and cover the frying pan with a lid. 6. Let the omelet cook until it is only a little wet on the top. Normally it takes about 3-5 minutes to reach this step depending on the amount of heat. Then add the tomatoes and let them sink a little into the omelet. Put on the lid back on. 7. When the omelet is only a little moist on the top, then add the chopped chives. Turn off the heat and let the omelet sit for another five minutes before it is ready to be served. 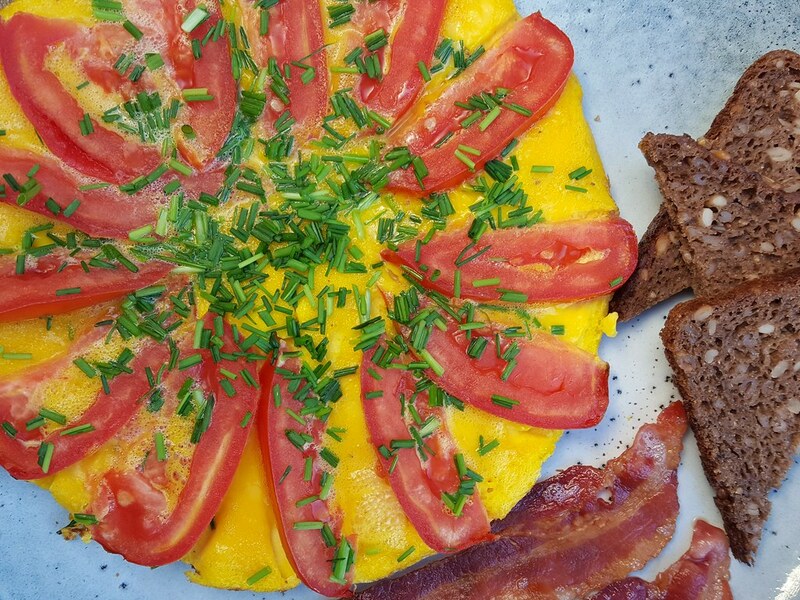 Tip: Serve the omelet together with some freshly fried strips of bacon and some dark bread like this Danish Rye bread.